Pronunciation: Just as it sounds. "WOT er shed." If you know the original creator(s) of this image, please let me know. It's widely used online without attribution. So, an abstract watershed is an important event or turning point. Everything changes starting from that point. "Watershed" is also an adjective. This word usually has a positive meaning. Call something a watershed if it's a factor or event or time period or line that totally changes something. You can have a watershed moment, a watershed experience, a watershed decision or resolution or court ruling, a watershed speech or report, and so on. You might talk about a watershed movie or novel or work of art, if it's an entirely new development that influences everything else created afterward. Note that in all the examples above, you could interpret "watershed" as a noun or an adjective. To use the word strictly as a noun, simply call something a watershed: "the change was praised as a watershed," "the meeting proved to be a watershed in the club's history," "we have absolutely reached a watershed," etc. The use of the Confederate flag as a symbol of either historic pride or racist hatred has recently come to a watershed in our country. Seinfeld is widely acknowledged as a watershed show, one that influenced the style and content of practically every sitcom that came afterward. Look away from the screen to explain the definition in your own words. 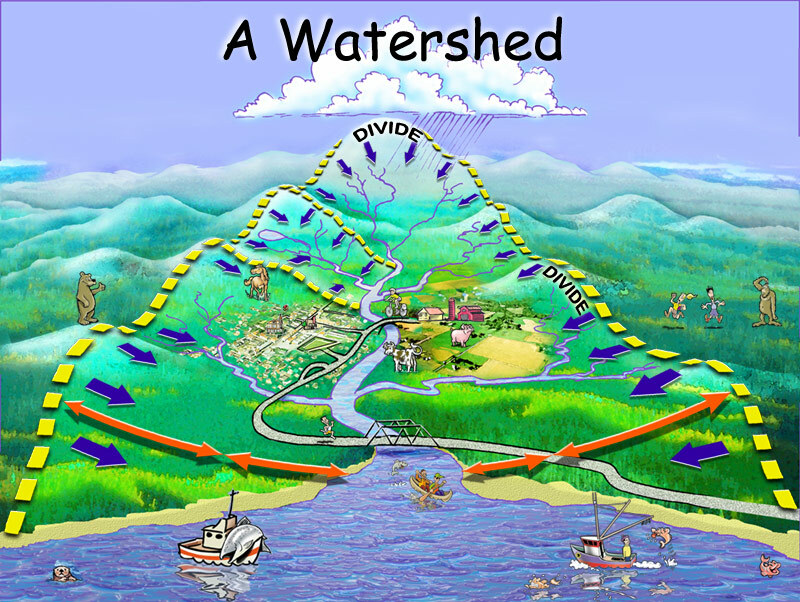 You’ll know you understand what "watershed" means when you can explain it without saying “dividing line" or "point of no return." Think of a moment that changed your life, and fill in the blanks: "_____ was a watershed moment for me; from that point on, I _____." Example: "Making the full leap from teaching for a company to teaching independently was a watershed moment for me; from that point on, I've enjoyed the freedom but missed the camaraderie with fellow teachers." 2. The public outrage is a watershed for the company, which _____.